Vintage Czech mantle tree #419. 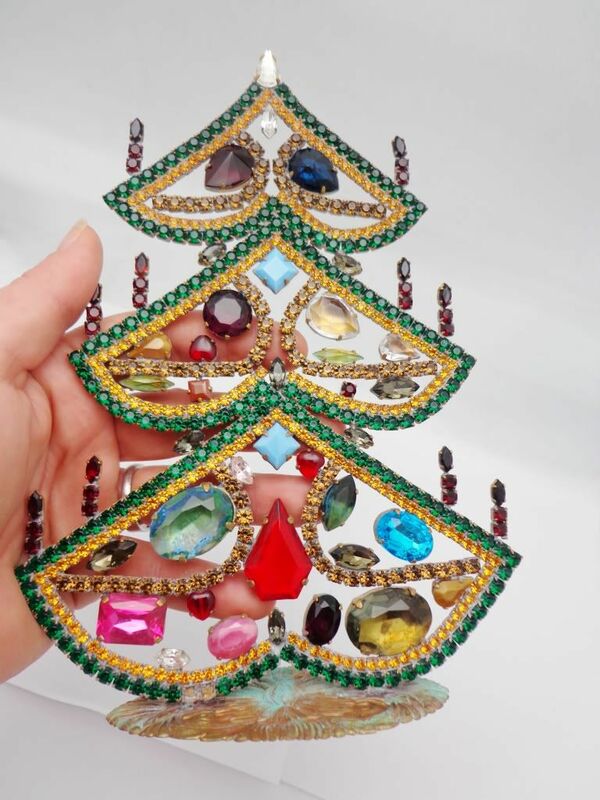 The tree is hand soldered and prong set with foiled and glass crystals.The tree would make an elegant addition to your Christmas decorations or if you are feeling generous a wonderful gift! This tree measures 7 1/2 " tall with a width of 5 3/4" wide and a base diameter of 4". 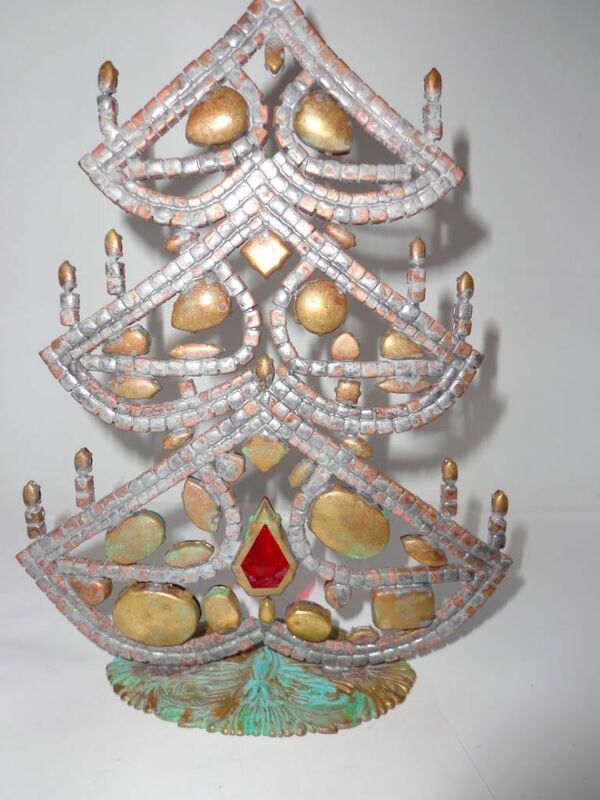 The tree has been recently cleaned and checked by our in house jeweler. If you are looking for more trees enter Czech tree into the search engine on the upper right of the home page and you will find many more. 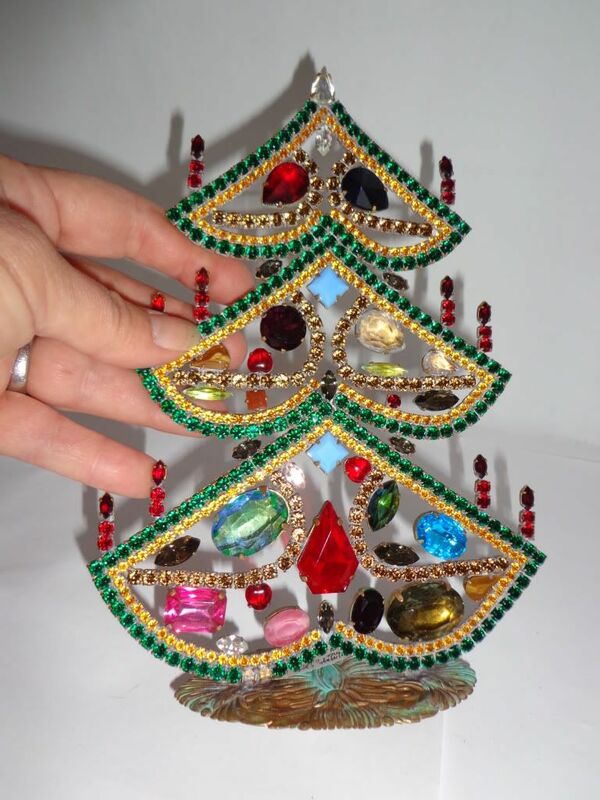 We have started a new category aside from Christmas to list these vintage mantle trees.